After years of campaigning, the surviving British veterans of the Arctic Convoy, which carried crucial supplies to Russia during World War II, will finally be awarded medals for their valorous acts. ­The decision was announced on Wednesday by Prime Minister David Cameron, who reported to Parliament on recommendations from a review of military medals carried out by Sir John Holmes, a former diplomat. Cameron said an Arctic Convoy Star medal will be awarded to those who braved the deadly missions. 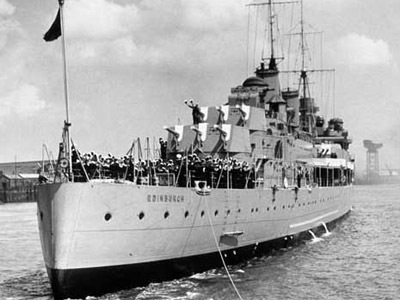 An estimated 66,500 British sailors manned convoys of merchant transport ships to Russia, guarded by Allies warships over the course of the war. More than 3,000 seamen died from attacks by Nazi Germany’s U-boats, which hunted the vessels travelling the frigid Arctic waters. The convoys carried much-needed materiel for Soviet troops under the Lend-Lease program. "I am very pleased that some of the brave men of the Arctic Convoys will get the recognition they so richly deserve for the very dangerous work they did," the British prime minister told MPs. Cameron added that the UK government will also award a new medal to airmen of the Royal Air Force Bomber Command, who carried out dangerous sorties over Germany. 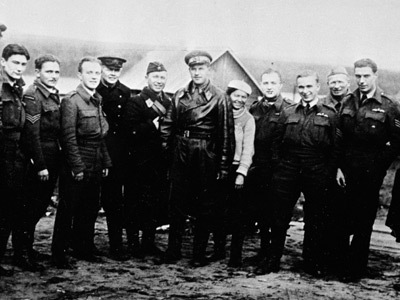 These soldiers “have been treated inconsistently with those who served in Fighter Command," which was responsible for defending British skies from the enemy, the prime minister said. 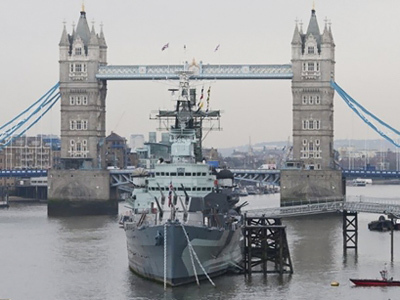 The announcement is marred by the fact that many veterans have already died while the Government dragged its feet on the issue, said Commander Eddie Grenfell, 92, who led the campaign for an Arctic Convoy medal. Gosport MP Caroline Dinenage, another prominent campaigner, urged the government to act swiftly on its promise: "After years of waiting, time is no longer a luxury that these brave men have on their side." Only 200 to 400 British veterans of the Arctic Convoy are believed to still be alive today. Their heroic efforts went overlooked during the Cold War, since it was impossible to award a medal for actions that aided the West’s new enemy. In 1946, the UK Admiralty ordered that the Atlantic Star, the medal for maritime supply missions, should be awarded to those with six months’ service. However, the harsh conditions experienced by sailors during the Arctic Convoy meant that few could meet the criteria. After the Soviet Union collapsed, the veterans’ bid for recognition was rebuffed because of a rule that medals could be awarded only within five years of the end of a war. The UK government has finally decided to bend this rule, 67 years after the Nazis were defeated.